Although the number of members is reduced, TVXQ’s popularity has not diminished. At 18 o’clock on April 23rd, 2012, the two-member boy band TVXQ held concert in the 45,000-seat Japan’s Osaka Dome. This is the final leg of TVXQ’s nine cities tour since January 2012 beginning from Yokohama, Fukuoka, Nagoya, and other Japanese cities. 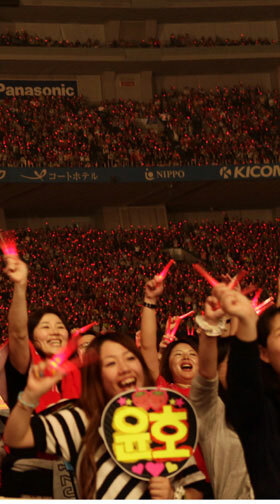 After the show began, the auditorium was dyed red by fans who waved light sticks. 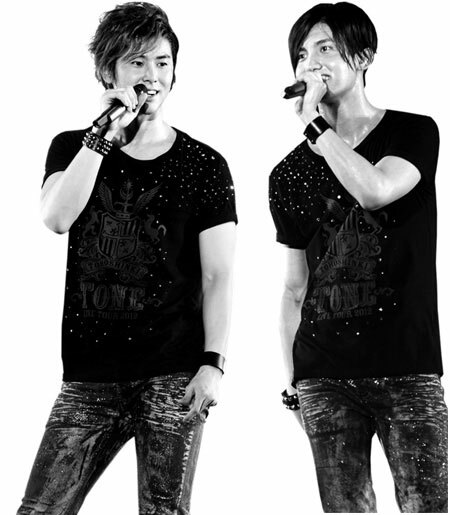 TVXQ sang a total of more than 20 songs included 2006’s “Rising Sun”, several songs recorded in the studio album “Tone” released in Japan in 2011 such as “B.U.T” and “Superstar”. U-Know Yunho also imitated the buzzwords of the popular Japanese comedian, provoking laughter. The 3D video effects was also one of the spectacles. The image of U-Know Yunho and Changmin were projected on the performing scene, presenting the scene as if many members dance and sing on the stage together. The two members also rode the mobile device to roam at every corner of the venue, throwing the autographed balls to the fans.